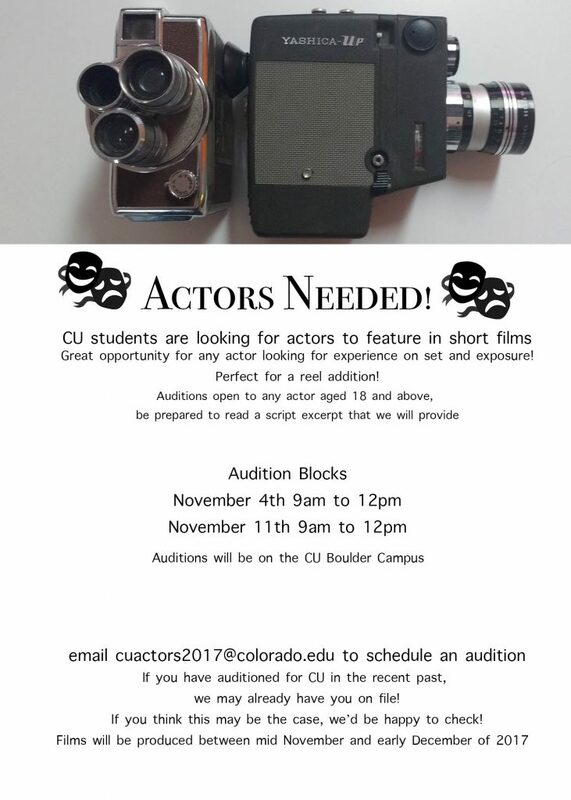 We are creating a database of actors to use in CU student films for the 2017 3400 films! We have all manner of roles to audition for and would love to add you to our roledex of actors to contact! Films will be produced in mid November to early December!